When running Snapshot reports, you’ll now see insightful inline status updates and estimated audience counts while the job runs, and up until it is finished. This new feature is rolling out now and will be live for all accounts by Jan. 25, 2019. 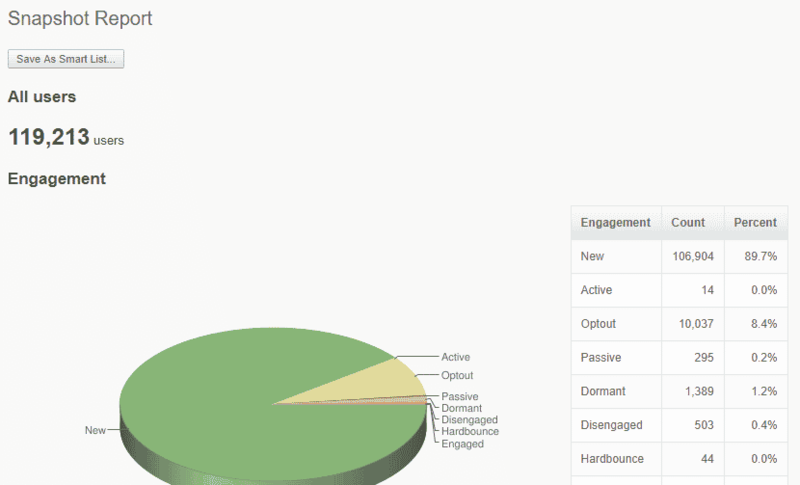 We know many Snapshots are run to get audience sizes prior to campaign sends. They are also used to get list estimates when working with complex audience criteria or sometimes unknown custom field names and values. You’ll be able to watch as the system works through your account, and when an audience count is appearing smaller/larger than expected, you can return to Audience Builder immediately. This is faster than waiting for the entire Snapshot to process and finish before displaying an audience count to you. 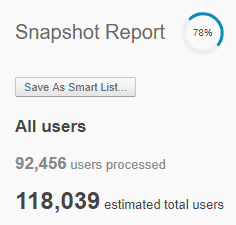 For Snapshots that take more than a minute to run and complete, you’ll see new progress updates when both a) the job is beginning and b) the snapshot counting begins.Below: When the job begins, we’ll give you insight into how many profiles in your database we’re evaluating from your source list. Not all of these users will end up as the final audience, based on your criteria. 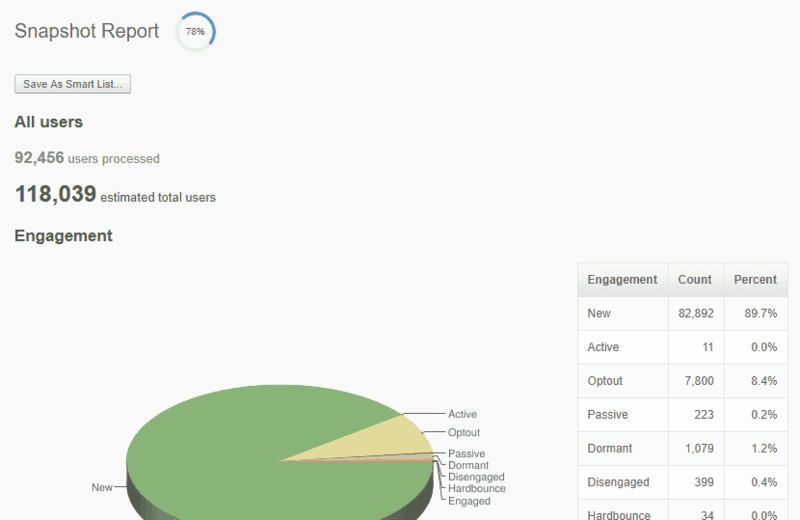 Once we have Audience data to display, the Snapshot report automatically refreshes with updated audience counts across the whole report. This includes a new “Estimated” count that is displayed until the job is complete. You’ll also see a progress indicator to show you how much of the job remains. When the “Estimated” count and progress circle disappear, you’ll see only the final total audience count. Don’t see them at all? Your job is running so fast that incremental counting wasn’t needed. Will this make snapshots finish faster? This will not expedite the total processing time for Snapshot reports, however it does provide more transparency into the job while it’s counting your customers. Having earlier insight and access to the running counts can help you make faster decisions about the audience in question. Did you change the way you count customers? Will I see a difference in list sizes? No. There are no changes that affect the way we evaluate customers’ profiles for inclusion in an audience. Estimates are, of course, subject to change and may increase or decrease as the job continues.